Amanda Riley made her first dress in 1976 on her Grandmother’s old Singer Sewing Machine. She was 8 years old and she was hooked – she knew she wanted to be a fashion designer. By the age of 14 she had her own small business making clothing for friends and family. At 16 she took part in her first fashion show in the local town hall. The collection sold out in minutes. On a tight budget she would scour jumble sales and charity shops making suits from old curtains and updating old garments into the latest looks. She gained a BTEC diploma with distinction in Fashion and Textiles at East Warwickshire, Rugby and a BA in Fashion and Textiles from Kingston on Thames. She has since worked as a designer in Milan, Hong Kong, the Far East, USA and India where orders for her designs were between 50,000 and 400,000 pieces per style. She also taught at the London College of Fashion and ran her own successful design company which supplied 40 top-end stores with handmade items. 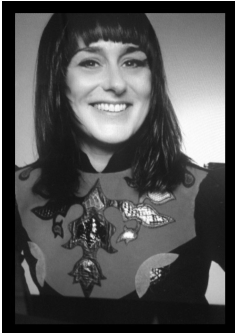 Over the years she has been approached many times to be design director of fashion houses, but decided to focus on teaching and workshops (at schools and festivals) because of her dislike of mass fashion and its harmful effects on the planet and society. She now runs the wildly successful Fashion Factory courses in West London. 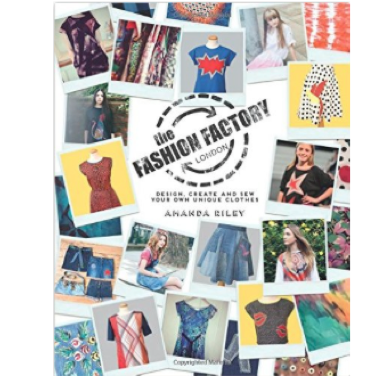 Her first book, THE FASHION FACTORY, aimed at young girls who want to make their own cool clothes, was published by Quadrille in 2015. Follow The Fashion Factory on Instagram. Follow The Fashion Factory on Twitter.